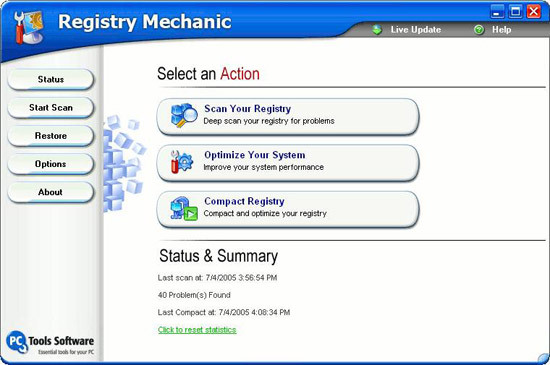 PC Tools Registry Mechanic is one of the most popular and easy to use registry cleaners. It safely clean and repair invalid entries from your Windows Registry with a few simple mouse clicks. It is available in free and premium versions. Premium version of Registry Mechanic costs $29.95 for 1 year license. But now you can get its premium version for FREE. Fill your name, e-mail & country and click on Request Free License!. You will get license details in your inbox within a short period of time. Now download the correct version of Registry Mechanic because this license is valid only for a specific version of Registry Mechanic. In case, the above promotion link does not work, then simply download Registry Mechanic from the link given above and click Register after that click Get free License. This will lead you to the free license promo page.